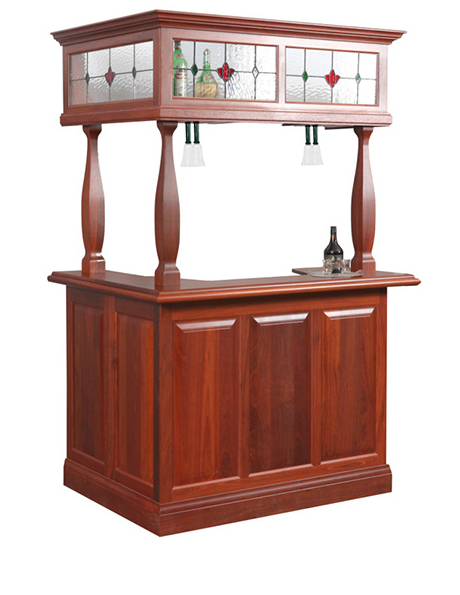 The Princess Jarrah bar provides a focus for your home entertainment area. Classic style so you can entertain in style. Beautifully crafted in solid jarrah with genuine leadlight canopy. Return section available on left or right hand side.